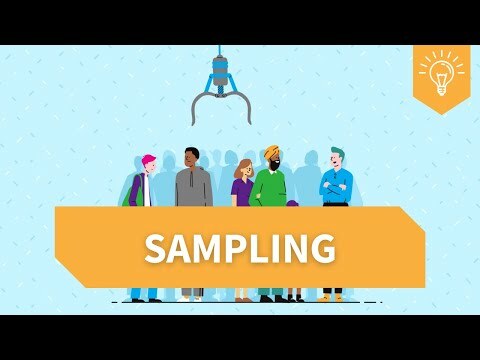 All surveys rely on samples, which are selected from a group of interest (often referred to as the ‘target population’). The first thing study teams need to decide is who the study will focus on. Southampton Women’s Survey: the target population was women who might become pregnant between 1998 and 2002 in Southampton. 1958 National Child Development Study: the target population of interest was children born in Britain in 1958. Understanding Society: the target population is UK households and their inhabitants. Most studies select their sample from within certain geographic limits. This might be for practical or scientific reasons. The geographic limits could be very small, for instance a city or county, or very large, such as the whole of the UK. The first two examples are known as cohort studies and target specific groups or sections of the population. Cohort study samples share a common experience at a particular point in time. For example, a birth cohort follows children born within a specific period. Other cohorts follow groups of students in the same year at school, patients diagnosed with a certain disease at a particular point in time, or new recruits entering an organisation or industry in a given year. Some studies, like Understanding Society, target the UK population as a whole. One challenge this presents is the fact that the population is always changing. Studies that seek to represent the whole population must be ‘dynamic’ – that is, there needs to be a way in which new members can join the sample. Otherwise there is a risk that, over time, the sample will become increasingly different to the population it is meant to represent. Understanding Society creates a dynamic sample by including people who move into participating households. For example, if the child of a participating household leaves home to move in with a partner, the partner will join the sample. Similarly, if a couple breaks up and forms two new households, both new households become part of the sample. To select a sample, researchers need a ‘sampling frame’. This is a list of everyone in the target population of interest, from which a sample can be drawn. The choice of sampling frame depends on who the study wants to sample and when they would like to first interview them. For example, the SWS wanted to interview women before they became pregnant, which ruled out certain sampling options (such as recruiting the sample through maternity records). When assessing the sampling frame used for a study, it is important to consider how accurately the frame reflects the target population of interest. For example, does it include people who are not in the target population at all (and who need to be identified and weeded out)? Or is it missing people who are in the target population? Child Benefit Records were used as the sampling frame for the Millennium Cohort Study. At the time, Child Benefit was universal, which meant that the list of recipients in 2000-01 (when the study started) was an accurate reflection of all UK families with a child born in the study’s target year. However, Child Benefit Records are no longer as suitable a sampling frame for birth cohort studies because the benefit is no longer universal. Changes made in 2013 mean that the records under-represent higher earners, who are no longer entitled to Child Benefit. If a study were to use the current Child Benefit Records as a sampling frame today, the sample would under-represent higher income households. Planning for all surveys involves considering the likely achieved sample size – that is, how many participants are likely to take part. Cross-sectional study teams will identify the ideal achieved sample size, as well as the likely response rate – that is, the number of people who complete the survey divided by the number of people who were invited to take part (minus any who turn out to be ineligible). Study teams usually issue a sample that is larger than their ideal achieved sample size to take into account that response rates are never 100%. With longitudinal studies, these calculations are more complex. The study teams need to think about the sample over a longer time period, collecting data a number of times. An important consideration for longitudinal study teams is attrition – that is, participants dropping out of the study, either permanently or temporarily. Some attrition is unavoidable (for example, participants might die or leave the country). Other attrition is avoidable but challenging to overcome (for example, keeping in touch with participants who move or persuading reluctant participants to take part). The sample design for a longitudinal study will involve making judgements about the starting sample size needed to ensure that the study can withstand likely attrition levels over time.